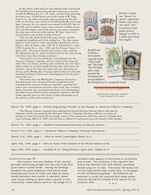 The cover and table of contents for Issue #34 are shown below. 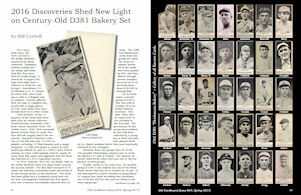 1) "2016 Discoveries Shed New Light on Century-Old D381 Bakery Set" by Bill Cornell. 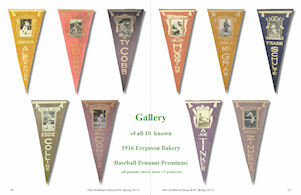 The most detailed look yet at this 1916 bakery set by a long time collector and hobby researcher. 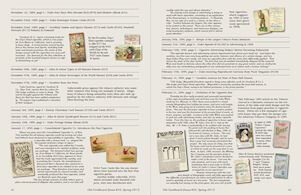 Cornell reviews several major and recent D381 "finds" to solidify the set checklist and draw new conclusions about the issue. 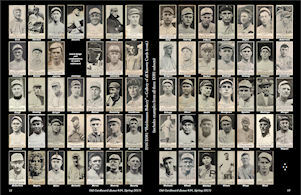 Includes gallery of all except one of the 104 players reported to be in the set. 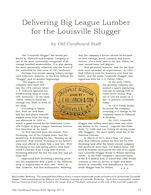 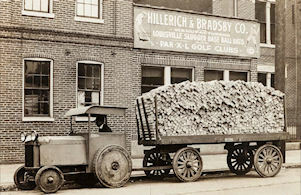 2) "Delivering Big League Lumber for the Louisville Slugger" by Old Cardboard Staff. 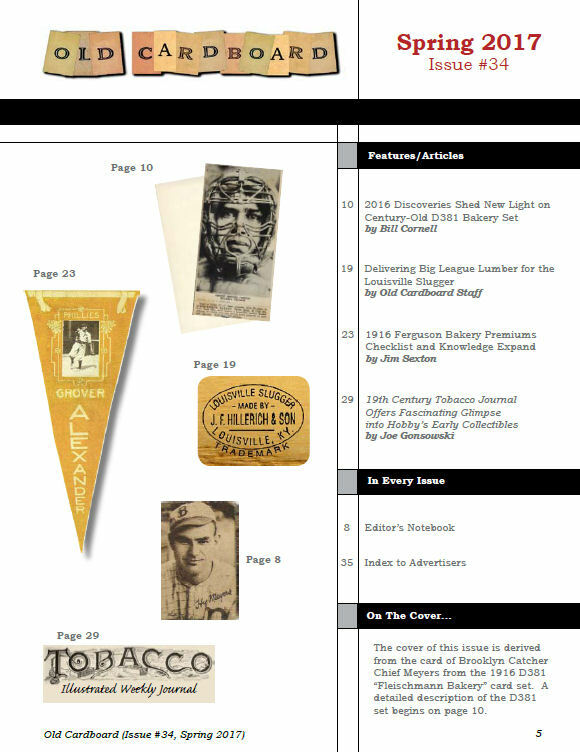 A fascinataing two-page display and a condensed story behind this famous brand and one of the most universally recognized items of all baseball memorabilia. 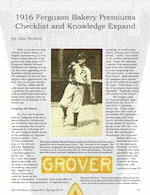 3) "1916 Ferguson Bakery Premiums: Checklist and Knowledge Expand" by Jim Sexton. 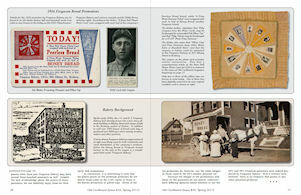 Focuses on the very rare Ferguson pennant premiums and offers unique insite into origins and producer of the set. 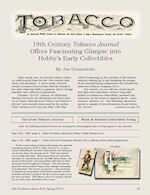 4) "19th Century Tobacco Journal Offers Fascinating Glimpse into Hobby’s Early Collectibles" by Joe Gonsowski. 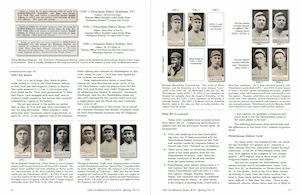 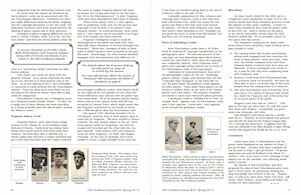 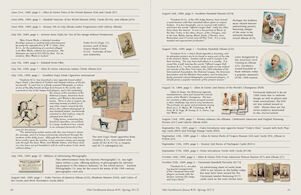 Key excerpts from a 1889-1890 run of an illustrated weekly tobacco trade journal that provides previously unknown details about several baseball card sets of the period. 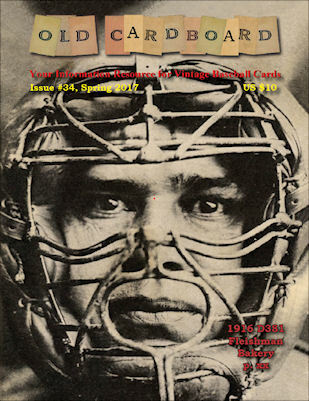 In addition to the above articles, all issues of Old Cardboard magazine include regular sections of Editor's Notebook as well as informative messages from our sponsors.